Sound system evolution has taken another big step, as Lab.gruppen and AFMG announce FIRmaker integration with Lab.gruppen’s PLM (Powered Loudspeaker Management) Series amplifier platforms. AFMG FIRmaker technology optimizes line array performance by precisely calculated FIR filters. Supported systems can be tuned to any venue or setup within minutes delivering previously unknown homogeneous sound from the first to the last row. Lab.gruppen’s Powered Loudspeaker Management has clear advantages over conventional amplifier / processing / system control solutions when it comes to both sonic performance and ease of use. 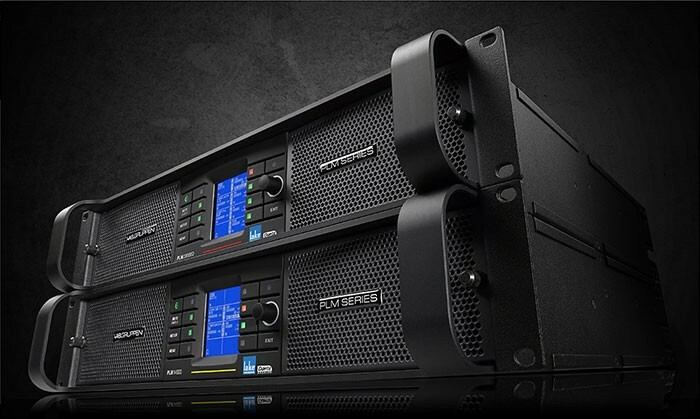 PLM Series amplifiers have become a mainstay in many major rental house inventories world-wide, powering some of the world’s biggest tours, events and installations, with the new integration with FIRmaker being the latest development for this award-winning product range. Leading hardware manufacturers have been involved with the integration of FIRmaker technology into their platforms for the past months. Key AFMG partner, Lab.gruppen, see great potential for this technology in combination with their Powered Loudspeaker Management platform. "Even SPL coverage to every seat in the house… Using any line array loudspeaker system…Driven by Lab.gruppen PLM Series. This is something we are very excited about, and pleased to be a part of," commented Martin Andersson, product manager for Lab.gruppen. "It’s early days, but all the results we’ve seen so far are extremely positive and we will be putting our full weight behind progressing this and taking it to its full potential." Stefan Feistel, AFMG’s managing director is satisfied with the quick results. "Lab.gruppen has immediately recognised the opportunities of our new FIRmaker technology. As we were able to show at ProLight + Sound, all PLM Series amplifiers can interface with FIRmaker. We are very happy that one of the most-valued amplifier manufacturers supports our development. Surely thousands of users of both new as well as existing systems will soon benefit from this integration."